By now, everyone is full swing Christmas mood. December is just a few days away (can you believe it). With Christmas just around the corner, I thought I would share some of my favorite Holiday nails. 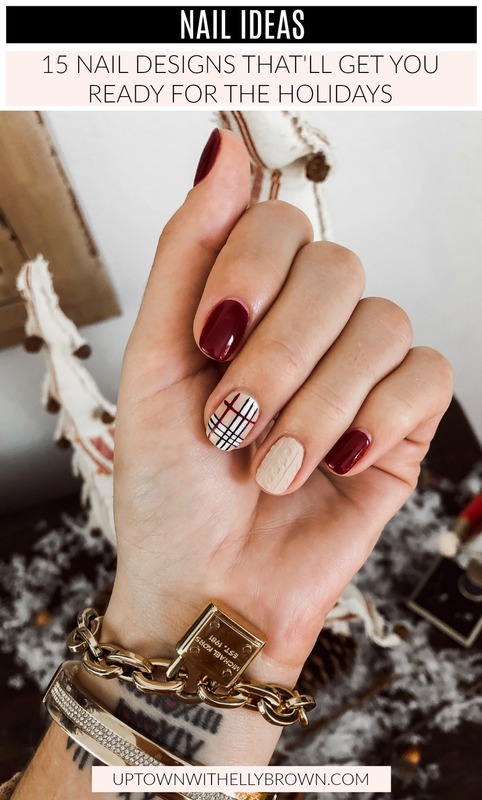 From sparkle to plaid, and everything in between these holiday nails will leave you feeling ready for Christmas. You will have to comment below and let me know which design is your favorite! If you have any favorite holiday nails, make sure to share them with, I would love to share more! Omg pulling out all of the fall goodies I have right now. Too many cute cozy things. These plaids for @officiallyquigley , swipe for 5 weeks later ! What other color plaid color combos should I do? I’m ready to start doing all plaid combos. Thank you so much for stopping by, hope you have a great day. Happy Holidays! P.S. if your looking for more nail ideas, check out my fall nail post here.